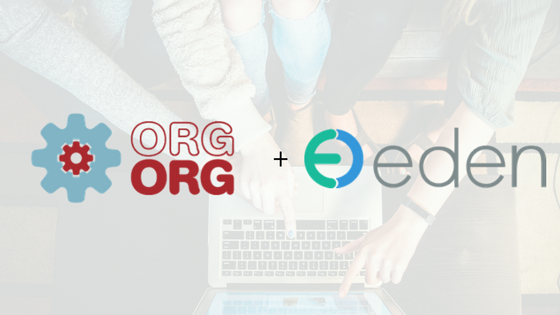 Eden, the office management and tech support platform, has today announced the acquisition of OrgOrg, a social network for office managers to recommend, discuss, and review vendors and products. Eden founder and CEO Joe DuBey explained to TechCrunch that a growing number of on-boarding clients said that they had originally heard about Eden from other office managers on the OrgOrg platform. In fact, DuBey recalled that Eden’s first enterprise client mentioned OrgOrg. Since, Eden has seen its own growth index against the growth of OrgOrg and the company felt that the acquisition made sense for growing its clientele. Right now, OrgOrg has around 2,600 members and is run on a Google Group, self-supported by an ad product. DuBey says that OrgOrg CEO Kim Rohrer will continue on as CEO, with OrgOrg operating independently as its own brand. DuBey still hasn’t decided whether or not OrgOrg’s ad product will continue to operate, but he is certain that Eden isn’t looking to generate revenue from OrgOrg, but rather grow clientele. OrgOrg’s strength is in its grassroots community, and it will continue to run as a private, sacred space for its members under Kim’s leadership. Nothing will change about the day to day community — the things we hope to incorporate over time are technology resources to help OrgOrg grow members, create a robust library and curate deep relationships within one’s city. In fact, DuBey said that even posts that shed a bad light on Eden will remain up. Eden is operating in 7 markets, and has raised a total of $15 million according to Crunchbase.